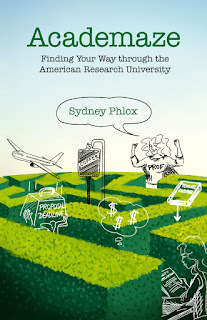 Today is release day for Academaze, the collection of essays and cartoons about academic life by Sydney Phlox, the more easily indexable pseudonym of Xykademiqz. Even though my particular publishing model does not require a "big bang" release day, I still love release days. It is great to see something I've worked hard on out in the world. Today is no different, except due to some scheduling issues and my recent "crunch time" I ended up putting this release day on a day when I was scheduled to go in to my main client... so I am later than usual in posting the release day post. You can help spread the word by sharing this post, the release day Facebook post, or the release day Tweet. So, what are you waiting for? Grab a copy. Buy copies for all your friends! I think you'll be glad you did. On a more personal note, I was struck while reviewing the proofs of this book by how far I've come in the technical aspects of publishing. When I compare this book to my first foray into publishing (with my own Navigating the Path to Industry), the difference is quite noticeable, particularly in the paperback version. It is not that Navigating the Path to Industry is terrible- nothing interferes with your ability to read it, for instance. But I hadn't figured out all the publishing norms, and since the paperback was an afterthought, the cover image wasn't the right size, and I had to pad it and I've always regretted my choice of filler color. However, this was sort of the plan. I wanted to try out publishing with a book of my own, so that I would make my mistakes on my own work, not someone else's. Even now, when I want to try something new (like adding a second printer for non-Amazon sources of the paperback), I try it first on a Taster Flight. 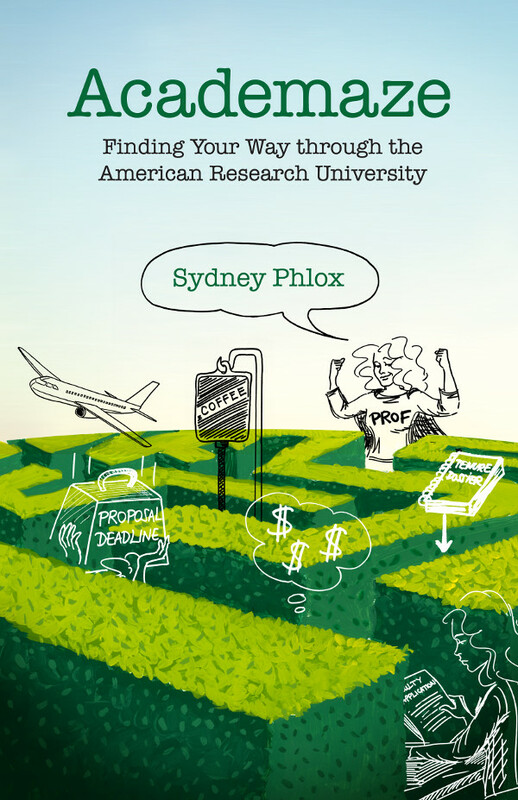 I'm not sure if it is worth going back to fix the issues I now see with the Navigating the Path to Industry paperback. Let's just say that it hasn't made it to the top of my priority list yet. For now, I'll just feel happy for how well Academaze (and Don't Call It Bollywood) turned out! The book turned out great, it's really beautiful. Thank you very much, Cloud! Obviously, the content is out of this world awesome (a completely objective opinion). In all seriousness, the paperback is both visually and tactually pleasing. It was lovely to hold and to thumb through, and it's got some heft to it. I am a big fan of the author. Her blog has been very helpful to me.